By making your reservation at Shanahan’s on the Green, you agree to confirm your reservation 24 hours or more prior to arriving time of your reservation. The reservations team reserve the right to cancel your reservation without further notice if it the remains unconfirmed on the day of your reservation. 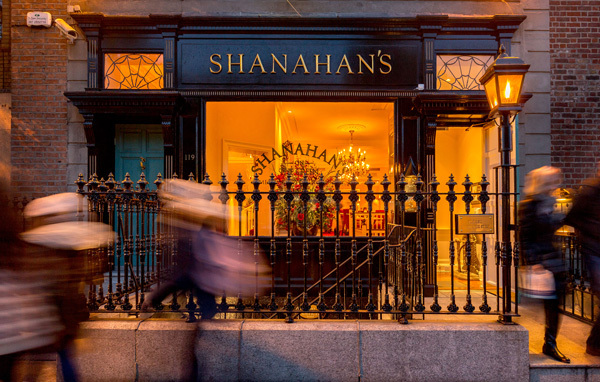 Shanahan’s on the Green is an independent restaurant and as such our continued viability relies heavily on reservations being honoured by our guests or sufficient notice being given of any changes to reservations. Our cancellation policy is minimum 24 hour notice for parties of 10 or less. Parties of 10-18 require minimum 48 hour notice. There is no fee for cancelling your reservation. However in the event of a no-show or late cancellation i.e. after 5pm on night of your reservation you will be charged €50 per person. Any charges will be charged to your credit card provided without further notice. Amendments may be made after the booking is confirmed, but additional space cannot be guaranteed. For parties of 18 or more, a booking deposit is required and separate terms and conditions apply and will be sent directly by our reservations team. Use the form below to send us an enquiry or message. Please note that reservations are not accepted by email.